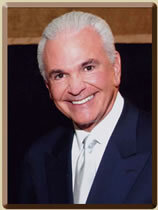 Gary Cocola is the owner of Cocola Broadcasting Companies, with headquarters in Fresno, California. He gained his first experience with the television business at the age of 17 while working for a local television station. He appeared as a panelist on a local program at KFRE-TV, Channel 12, in Fresno called "Open House" with Al Radka. His job was to judge new records for a program called "Traffic Pops." He then became a co-host of the television program "TV Record Hop," a local dance party show on the same station. This television experience was gained while he was attending San Joaquin Memorial High School in Fresno. While attending Fresno State College, he hosted his own programs on both radio and television in the Fresno, Bakersfield and Monterey California markets. After a short stint in the broadcasting industry he left to join his father in the family produce business. Although his own produce company was very successful, the work did not fulfill him. As a result, he decided to return to his original field of interest – broadcasting. In 1985, after a seven-year effort to obtain a construction permit from the Federal Communications Commission, he built Channel 59, KMSG-TV in Fresno. He left the produce industry to own and operate the station. At that time, KMSG-TV was an affiliate of the Spanish language network Telemundo. He sold that station in 1991. In 1992 he formed Cocola Broadcasting Companies with the launch of KGMC-TV Channel 43, currently the Fresno market's Estrella TV and Azteca affiliate, in addition to being the home of Antenna TV and Me-TV Networks. Channel 43 is also carried on the Comcast Cable system on Channel 10, Dish, DirecTV and ATT U-verse 43. During the next several years he continued to build and now operates a total of 28 television stations. In 2005 he and his wife Juliana moved to the Monterey Peninsula where he also operates two Television Stations. He and Juliana now reside in Carmel, California with their Yorkshire terriers, JoJo and Rosie.